Lasting beauty radiates purity and simple elegance, like this inspirational sterling silver necklace. 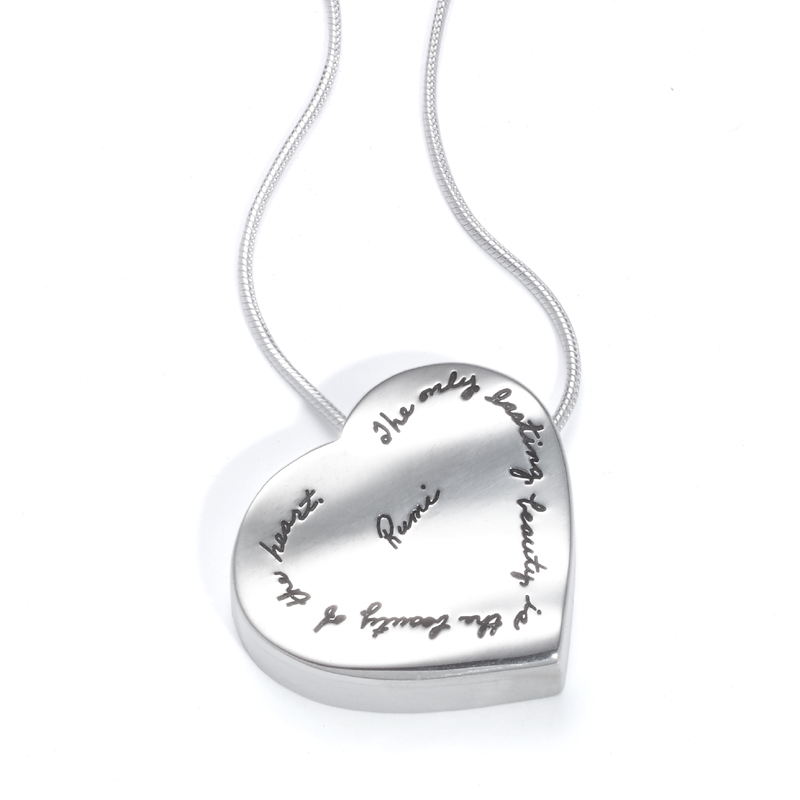 A smooth, polished heart holds delicately engraved words of wisdom on a sleek sterling silver chain. Poet Rumi reveled in true beauty. He encouraged readers to focus on a soul’s eternal beauty and grace rather than on temporary physical characteristics. His quote on lasting beauty serves as the perfect phrase to grace a classic heart-shaped charm. Give this piece as a gift to someone who radiates true beauty; It’s perfect for a woman with a spirit full of love and compassion. We engrave each sterling silver heart individually and polish every necklace by hand to ensure your jewelry is as beautiful as the person who will receive it.